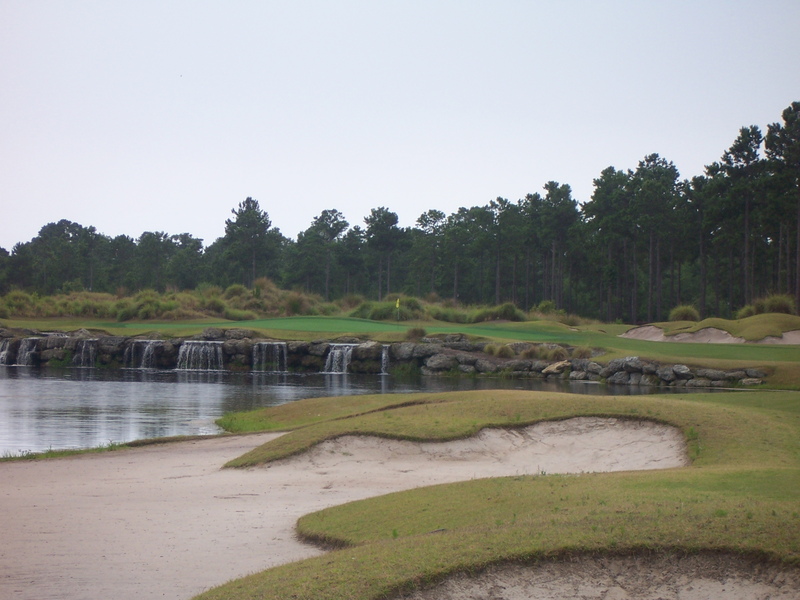 Leopard’s Chase, is considered the premium play for the four Big Cats courses at the Ocean Ridge Plantation located in Sunset Beach, NC. My travel group played here on Wednesday, June 20, 2012, and the experience was decidedly different from when we played this Tim Cate design in 2009. Unfortunately, the change was not for the better and course conditions were the issue. As we did three years ago, we enjoyed the same great routing and hole variety, especially on the back nine, but the excellence ended there. The L-93 bentgrass greens had just been treated for a fungicide and were colored aqua-blue and were rolling extremely slow. Most bentgrass greens get hammered in late summer from the persistent heat in the Southeast U.S. and it seemed a bit early to see greens on a course of this caliber stressed. Also, general maintenance had clearly slipped. Last time out, the course was pristine with lightning fast greens. This time we noticed a few bare spots on the approaches, the landing surface on the practice pitching green was literally covered in weeds, and there was grass growing in several fairway bunkers. You got the feeling that a general level of malaise had set in regarding pride of ownership. Interestingly enough, this was not evident when we played Tigers Eye later in the afternoon (another Big Cat course) which was in beautiful condition and is under the same management. Leopard’s Chase was still quite playable and we had a good time, but were surprised at the shape. A few playing notes: There is a lot of sand. You will hit into greenside and fairway bunkers so bring you’re A-bunker game. Also the back nine is more challenging than the front and features the par-5 11th, which requires three precision shots to get home, and the scenic par-4 18th ,with the lovely approach over the stone configuration and waterfall. 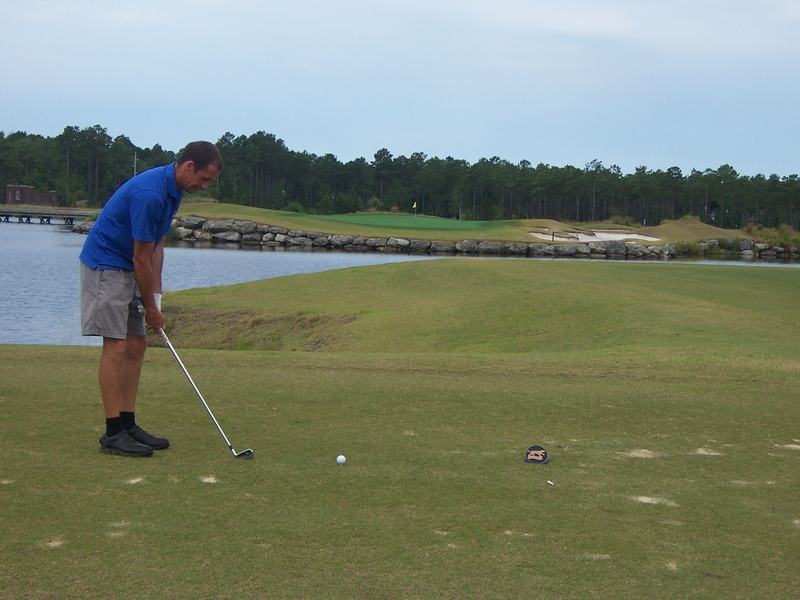 I enjoyed one of my better ball striking days on our trip, but was continually frustrated at my inability to get short birdie putts to the hole because of the shaggy putting surfaces. Others in our group felt the same. Morning greens fees for the summer run at $83.00 which seems high for the current conditions. Range balls are included in the greens fee and you are given a very small bag of about 20 balls to warm up with. I do recall a much higher greens fee back in 2009 and a very steep replay rate of about $80. Clearly, rates have come down, but with our prior replay rate experience, we played the afternoon at Tigers Eye for $45 and were happy we did. The pro-shop is little more than a double wide trailer with a decent retail area with some clothes and limited equipment for sale. There was a very small snack bar and a restroom but nothing else. The practice putting green was modest sized and the all-grass driving range while limited to about 15 hitting stations was in pretty good shape. I already mentioned the dreadful shape of the pitching green. The pro-shop staff were courteous and helpful getting our replay time set up over at Tigers Eye when we checked in. The bag drop was staffed by one gentleman who was a bit slow unloading us (we essentially did it ourselves) and the course was basically empty when we got there. 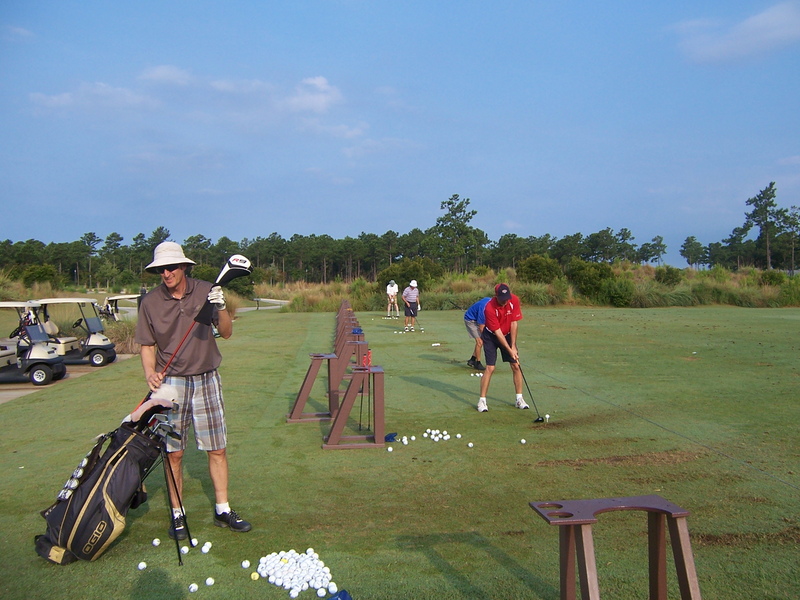 We warmed up and teed off when we were ready. It struck me as a bit unusual that the place was so empty on a Wednesday morning, as all other courses we played mid-week had plenty of players. Perhaps word got out regarding the conditions. For visitors planning on playing at Ocean Ridge Plantation, spend your money at Tiger’s Eye and bypass this one until the conditions improve. For the record, I played the blue tees at 6,645 yards and shot a four-over par 76. 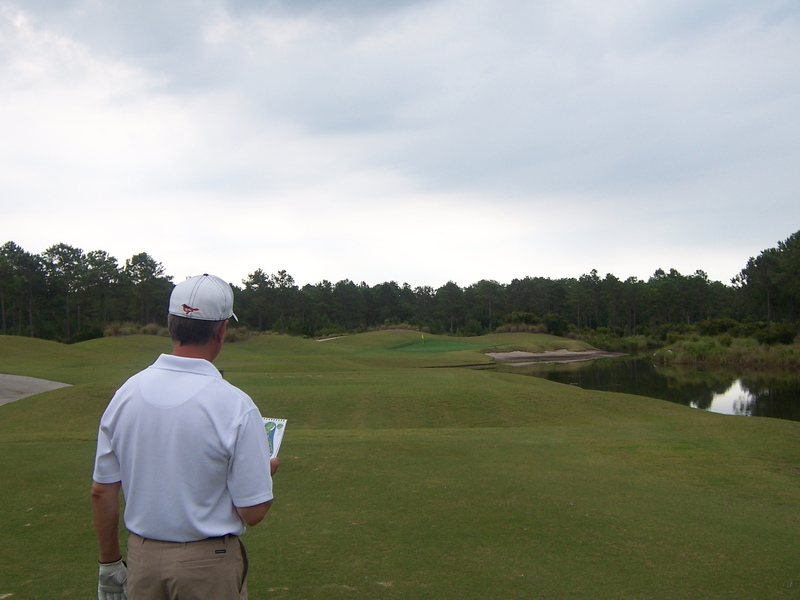 This entry was posted in Course Reviews, Myrtle Beach, North Carolina, Travel and tagged course reviews, Golf, Leopard's Chase, Myrtle Beach, sports. Bookmark the permalink.